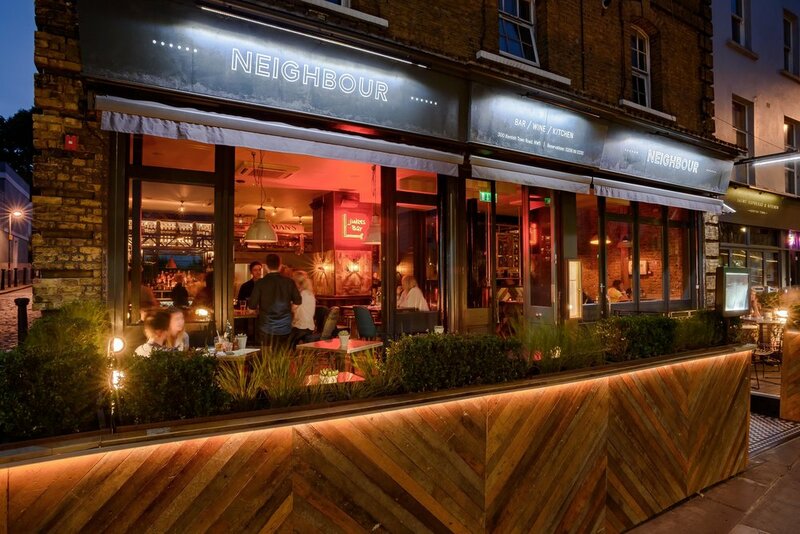 Neighbour — Urban Pubs & Bars | Independent London pub, bar and restaurant group. Neighbour is an independent bar and kitchen in the heart of Kentish Town, serving banging burgers, vegan-friendly salads, tasty sides, house-crafted sauces and downright dirty desserts. Behind the bar you'll find an impressive range of cocktail classics along with our 'Neighbour Irregulars', a great craft and draught beer selection, plus hard shakes, naughty shots and a carefully selected wine list.